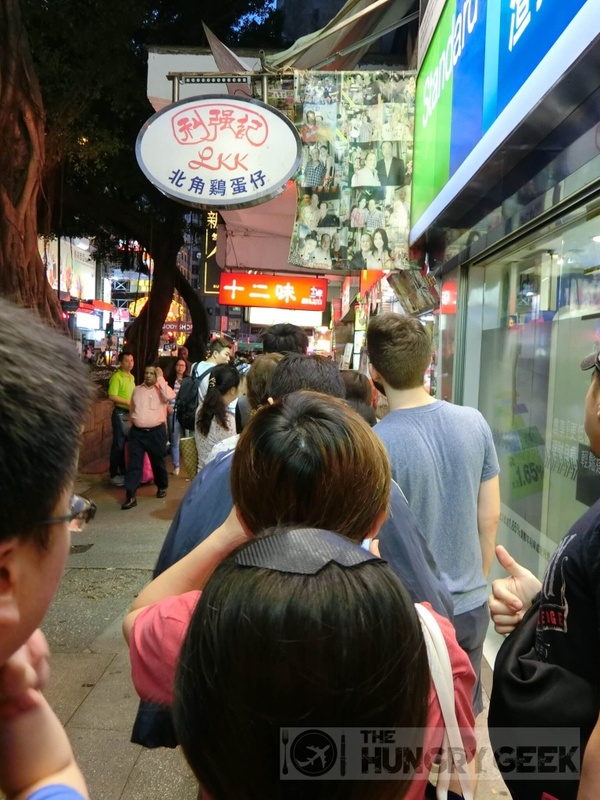 On HK day 3, we were eating so much that we almost never really felt hungry at all 😛 Besides sightseeing at Wan Chai and Tsim Sha Tsui, we covered a wide range of food and some of them really tasted heavenly! I must say that was a super satisfying day because we really enjoyed the food. HK Day 3 – Breakfast – Australia Dairy Co.
On HK day 3, we planned to have a good rest because we were totally exhausted inside out so we slept in a little bit more. We were so craving for the Australia Dairy Company’s scrambled eggs that we actually bought the scrambled eggs with toast back to hotel to eat 😛 Since it’s so near to our hotel and we really liked their food so much. The scrambled eggs and toast were still nice but it’s better to eat while it’s hot in the cha chaan teng. After the light breakfast, we prepared ourselves to start our day of exploring in Hong Kong. We left hotel at around 10:30 a.m to Central by MTR. 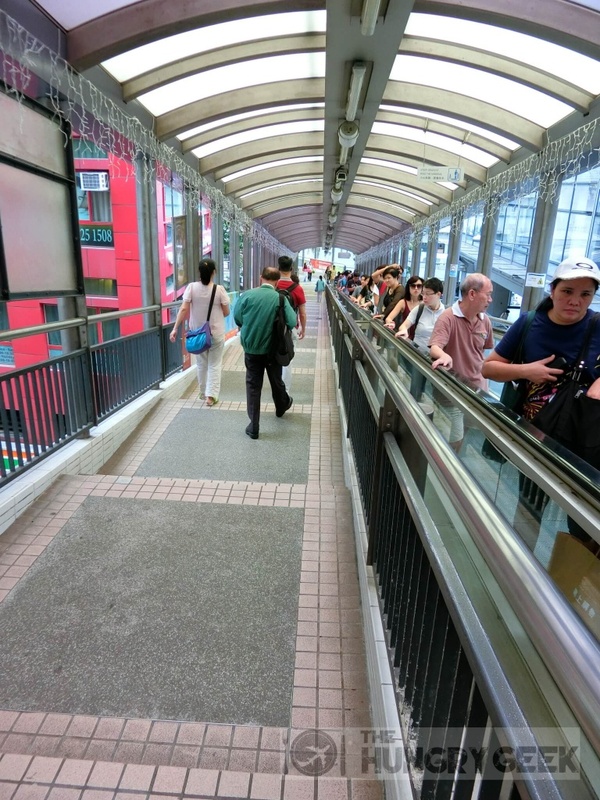 We were heading to the well known cha chaan teng Lan Fong Yuen for our brunch. 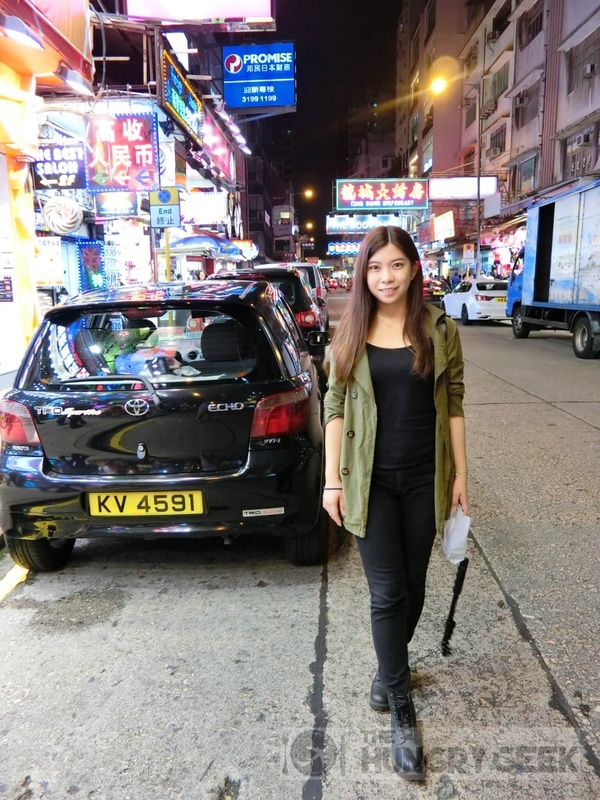 See the review and directions here at Lan Fong Yuen 蘭芳園! Please do patronize this famous cha chaan teng as they are one of the MUST GO in Hong Kong. Their pork chop bun, chicken chop instant noodles and milk tea are really worth trying. From Central, we took MTR to Wan Chai station. 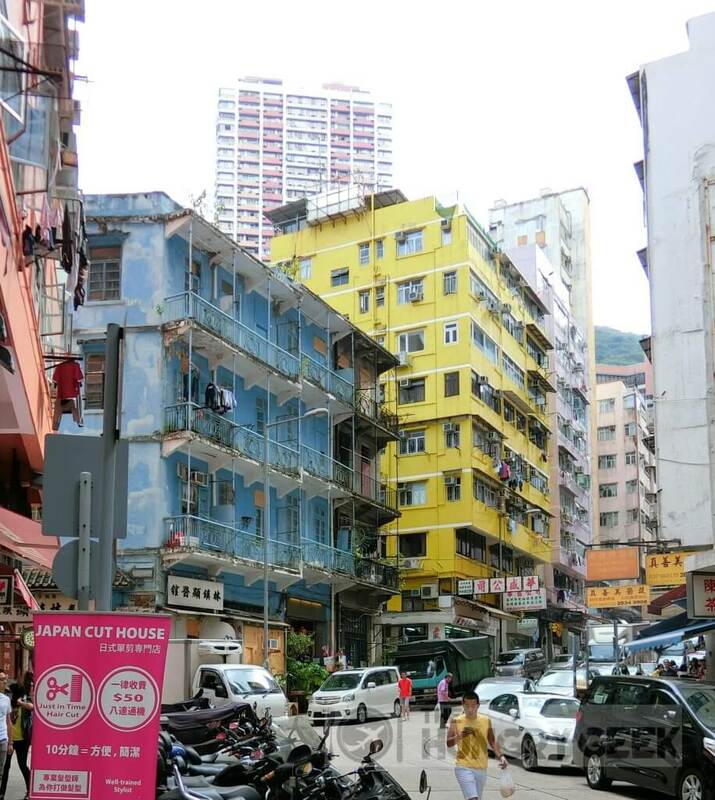 Firstly, we went to walk around the Star Street neighborhood to have a look at the Wan Chai Haunted House. On a site note, we were seeing a lot of mannings along the street. Mannings in Hong Kong, China and Macau is the ‘Guardian’ that everyone is so familiar with in Singapore, Malaysia and Vietnam. It is a retail chain of personal health and beauty products. Unfortunately, on our way to the Wan Chai Haunted House (Nam Koo Terrace) we realized that there was construction on-going that blocked out our way to that place. Nam Koo Terrace was used as a military “comfort house” for the Japanese soldiers from 1941 to 1945. See Nam Koo Terrace wiki page for more details. 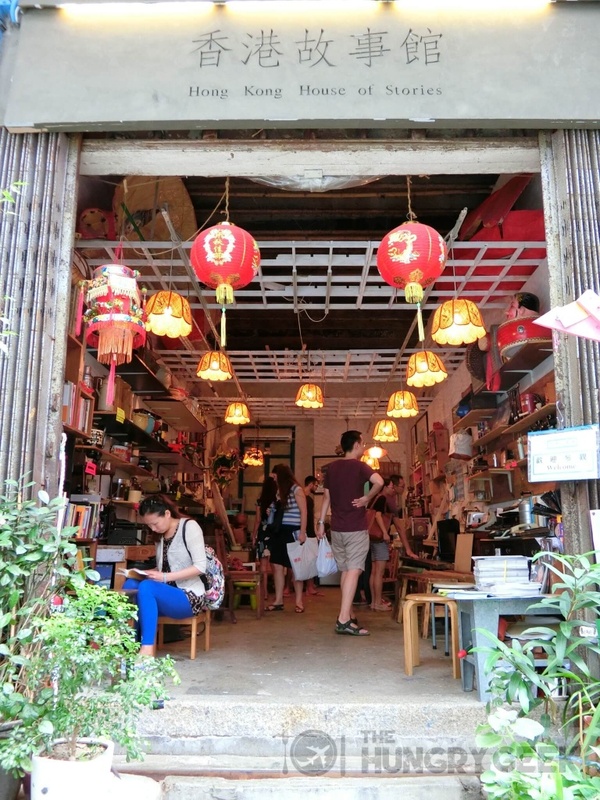 Later on we went to the House of Stories (previously known as Wan Chai Livelihood Museum), a tiny livelihood museum located at the ground floor of the historical Blue House. The Blue House is classified as one of the few remaining Grade 1 Historic Building Tong Lau – tenement buildings built in late 19th century to the 1960s. The building of the House of Stories stands out in blue among the rows of old buildings. It caught our eyes from far and thus without much searching we managed to find this place. 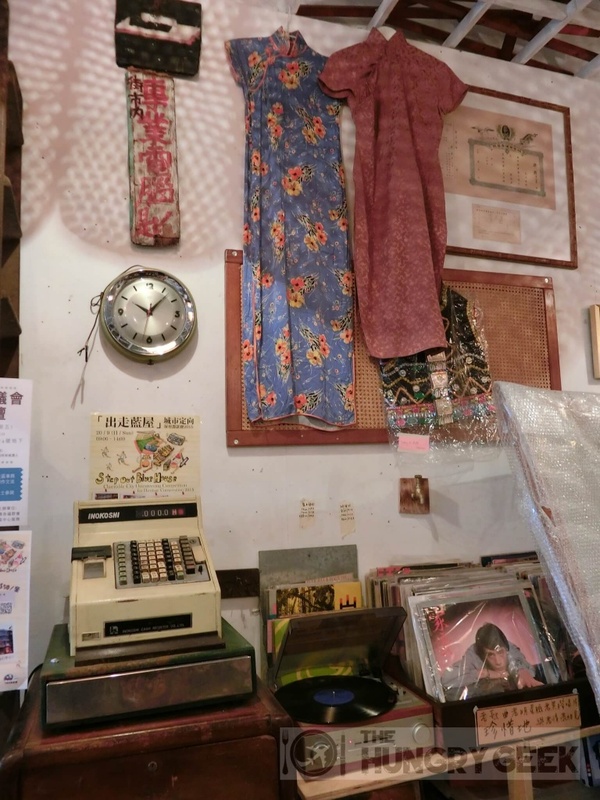 Once we stepped into the tiny museum, we felt like we were transported back to the past. Given the limited space, a number of collections from the past have filled up the room with a nostalgic atmosphere. The non-profit museum entry is FREE OF CHARGE and there are some handicrafts and postcards for sale. If you’re curious to know more about Wan Chai’s Culture and Heritage, you may join the private English tour here. Advance booking may be required. Shortly after we left the Blue House, we walked to Kam Fung to try their Polo Bun. We had the Polo Bun on the go so that we could walk around Wan Chai while eating the bun in hand. The Polo Bun was surprisingly good and we actually walked back to Kam Fung hoping to also try their chicken pie, which is also one of their signature food. But too bad the chicken pie sold out and we had to wait for another 30 mins for the next batch from the oven. We were actually so determined to eat their chicken pie that we walked around nearby and went back for it. I’m glad we did. I totally fell in love with their chicken pie! This is one of the MUST EAT in Hong Kong that I would highly recommend. See more at Kam Fung 金鳳茶餐廳. We were crazy enough to drop by on our last day to buy their chicken pie and brought some all the way back to Singapore! When you visit Wan Chai, one of the food that should not be missed is Honolulu Coffee Shop egg tarts. They made one of the best egg tarts in Hong Kong. See more at Egg Tarts at Honolulu Coffee Shop 檀島咖啡餅店! Saw this when we were walking around in Wan Chai – A very exquisite golden high heels bathtub! After refueling at the hotel, once again we set off to eat and explore! The famous Lee Keung Kee North Point Eggette is located between Jordan and Tsim Sha Tsui. So we decided to walk to buy the eggette(gai dan zai) before we continued down to Tsim Sha Tsui. See how does the eggette scores here – Lee Keung Kee North Point Egg Waffles 利強記北角雞蛋仔! From Lee Keung Kee we walked to Granville Road. Granville Road fashion street is where you can find fashion shops and factory outlets selling mid-priced youth street labels. If you’re tired of shopping in malls this place might be a better option! We walked along Granville Road and Haiphong Road to Silvercord where the Michelin starred Din Tai Fung is. Kowloon Park is on the side of Haiphong Road. Due to the insane queue at Din Tai Fung @ Silvercord and our relative lack of hunger due to the earlier gluttony, we decided to come back for dinner later. We then walked from Silvercord to Harbour City. Harbour City is HUGE! It took us around 20 mins to walk from one end to another. If you are a brand lover, you’re gonna love this place 🙂 The mall basically has everything you want, high-end brands, luxurious department stores, eateries, and a gorgeous sea view! Walking around near Victoria Harbour you will find this highly noticeable Clock Tower Hong Kong at the foot of Salisbury Road. 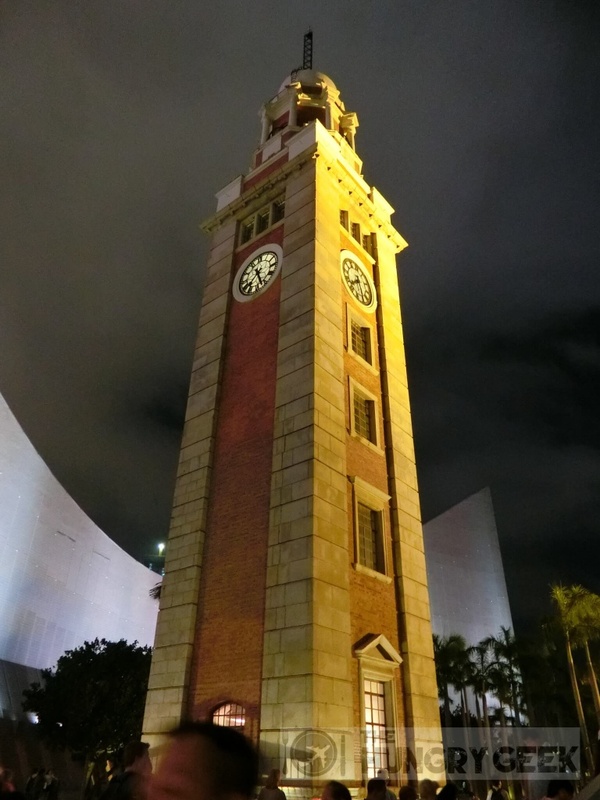 The Clock Tower is a landmark in Hong Kong which has been listed as a declared monument in Hong Kong since 2000. We walked to the Tsim Sha Tsui waterfront which is just beside of the Clock Tower to view the magnificent scenery at Victoria Harbour. There’s A Symphony of Lights show at 8 p.m daily. A Symphony of Lights – A 13 minutes multimedia show which involves more than 40 buildings along both sides of Victoria Harbour. It is the World’s Largest Permanent Light and Sound show in the Guinness World Records. In addition to the synchronized music during the colored lights, laser beams and searchlights performance, live narration is also available. We had a late dinner by 9 p.m at Din Tai Fung @ Silvercord, Tsim Sha Tsui. As mentioned we actually got here at 7 p.m but the queue on a Saturday was mad so we decided to come back later. This is the first Din Tai Fung branch ever to receive a Michelin star in November 2009. See our food review on Din Tai Fung Tsim Sha Tsui @ Silvercord, Hong Kong! This mobile ice-cream vendor can be seen moving around the Tsim Sha Tsui area. Kam Fung 金鳳茶餐廳 – Chicken Pie & Polo Bun In "Hong Kong Cha Chaan Teng"